Its was a great honor to be asked to specially reproduce some classic marquetry for our friends at Guitar Repair in Italy. Andy and Alessio are two of the finest repair people in Europe, and more recently they have also been making some spectacular reproduction roundneck guitars under their name 'BAGNASCO & CASATI'. Check them out! 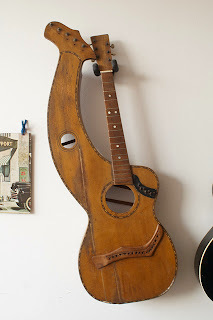 The guitar is a vintage Knusten Harp guitar from the early 20th century, currently under restoration at the Guitar Repair shop. 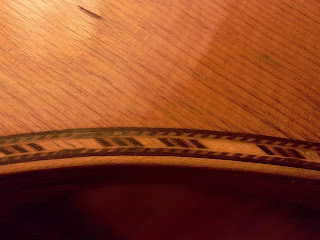 Here you can see the original marquetry, with the original colors now mostly faded. From Italy Andy supplied the measurements and preferences for the reproduction at 6 whites, black, red, black, red, black with the white veneer either side. The outer herringbone was not required. 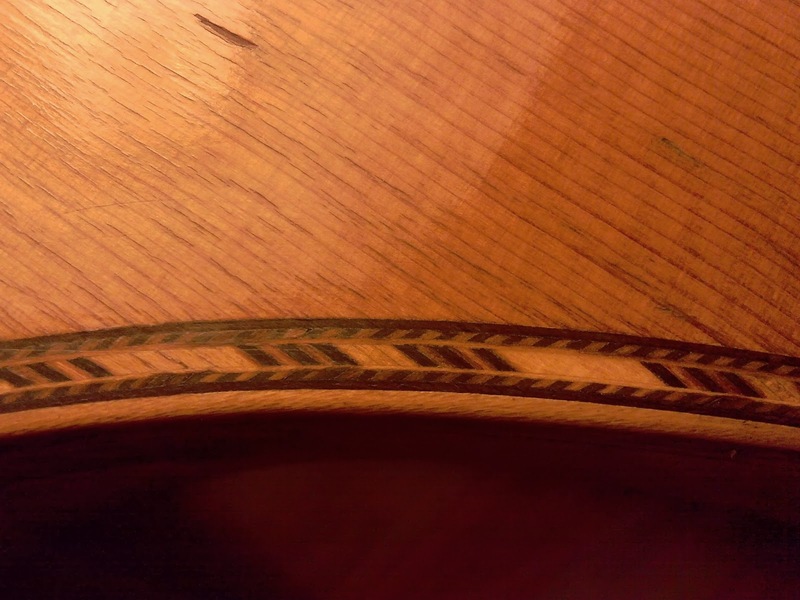 The process is similar to how I produce the rope marquetry for my Weissenborn reproductions. By making it myself, I have control over the quality of the woods and species used, and am able to accommodate the subtle differences in specifications between instruments of various eras. Or as in this case - make an impossible to find strip that the commercial makers would not even consider. The marquetry laminations must be heat proof to allow it to bend, and traditionally this was either fish glue or later urea formaldehyde. The smallest batch was much more than they needed for this repair, but now we have a small supply should someone ever need it! Good luck with the repair gentlemen!